Jess Harper is a results driven professional with a record of creating and implementing co-marketing initiatives in support of business priorities. With more than 15 years of experience, Jess continues to be focused on building scalable go-to-market strategies with our Value Added Resellers and Alliance Partner community. 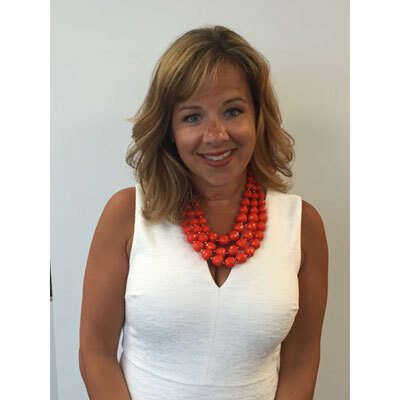 Jess brings an unwavering passion for the channel through her years of supporting field and partner initiatives. Pure's business is 100% channel focused. The reason for our continuous growth is because of our Partners. We continue to achieve success because of our combined dedication to finding, nurturing and closing new business opportunities. In the last year, Pure has committed to investing in many more resources for our partners' success. This included evolving the Commercial and Channel Field Marketing organization to drive an even greater channel focus. We aligned resources and created net new headcount to support the growth of our National and Focus partner community. I look forward to seeing the success of these changes. My goal for our channel business is to continue to build a structured channel program with the ease of use and tenacity that our partners expect from Pure. I was recently promoted to lead our Commercial and Channel Field Marketing organization. The reward is in watching our team mature, develop our go-to-market strategy, and continue to lead through the evolution of our company's channel and marketing model. Personally, I am very proud of my Star Walker designation for my fundraising efforts of the AIDS Walk New York. Investing in the research and resources needed to fight HIV/AIDS is an important cause that I am passionate about. Outside of my amazing mother, I would say I admire and continue to be inspired by the women of Pure. I have seen these unstoppable women bring us through IPO, develop a strategic field marketing organization, build our Women@Pure employee resource group, develop careers and challenge themselves with new opportunities. Many of these women do this while balancing their home life and raising their families. We have done this together, and for them and this remarkable experience, I will always be grateful. Be fearless and authentic. Take risks, be yourself, and don't be afraid to fail. My most rewarding experiences are those where I've taken risks, made changes and challenged myself. Fear lives outside of your comfort zone. Embrace it, and go for it! You'll never look back and say that you didn't try. Data Science! I push myself daily to sink my teeth into our data to make smarter decisions about our business. I am extremely impressed with our Data Scientists and the analytics of their thinking. As a full-time working mother, I unfortunately don't read as much as I would like to. That said, I am currently reading the R.L. Stine, Rotten School series with my 8 year old son, which is very clever. I recently chose, The Couple Next Door by Shari Lapena, and have really enjoyed it.